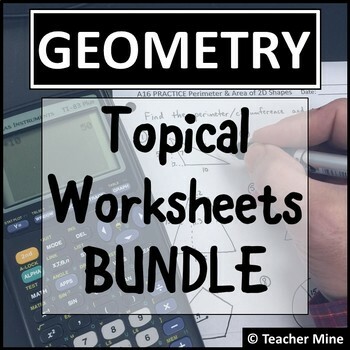 This product provides you with a collection of practice worksheets with plenty of problems for your students to use to show their mastery. These products are not currently included in my full geometry curriculum. If you are interested in finding out more about what is included, click the link below.